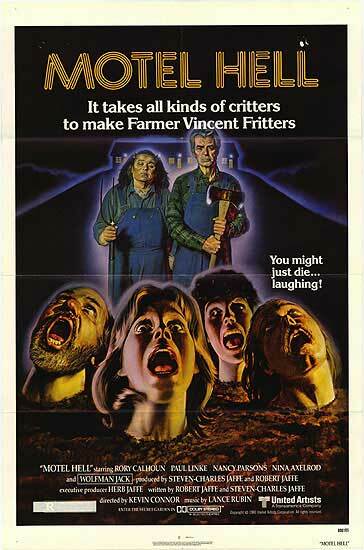 Today’s feature is a cult favorite horror comedy from 1980: Motel Hell. Motel Hell was directed by Kevin Connor, who spent most of his career directing television movies and television series. The screenplay for the movie was written by brothers Robert Jaffe (who penned screenplays for Nightflyers and Demon Seed) and Steven-Charles Jaffe (producer of Star Trek VI, Near Dark, Ghost, and Time After Time), who also served as producers for the film. A seemingly friendly farmer and his sister kidnap unsuspecting travelers and bury them alive, using them to create the “special ingredient” of their famous roadside fritters. 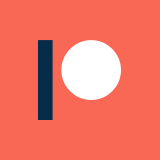 The cinematographer for the film was Thomas Del Ruth, who went on to shoot Death Wish II, The Breakfast Club, Stand By Me, The Running Man, The Mighty Ducks, and numerous episodes of The West Wing. The editor for Motel Hell was Bernard Gribble, who also cut Caddyshack II, Death Wish, Top Secret, White Dog, and Aces: Iron Eagle III. The music for the film was composed by Lance Rubin, who also provided music for the film Happy Birthday To Me, as well as the television shows King of the Hill and Fantasy Island. 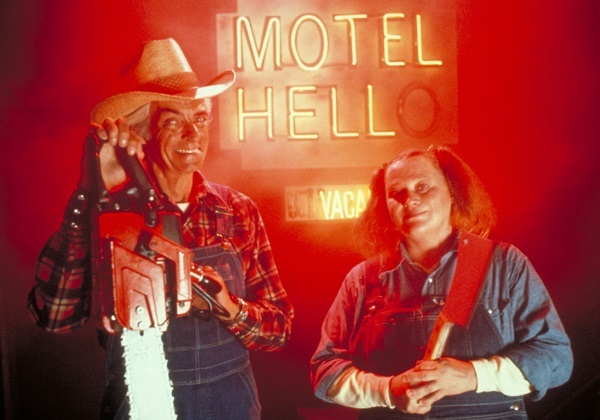 The primary cast of Motel Hell was made up of Rory Calhoun (Night of the Lepus, The Texan), Paul Linke (K-PAX, Parenthood, Chips), Nina Axelrod (Critters 3, Roller Boogie), Wolfman Jack (American Graffiti), and Nancy Parsons (Sudden Impact, Porky’s, Steel Magnolias). The chainsaw duel that takes place during the climax of the film took multiple days of shooting to complete, and wasn’t even featured in the initial screenplay for the movie. Speaking of, the screenplay of Motel Hell went through a number of rewrites and edits over the course of production. All in all, it took three years from the completion of the screenplay for the movie to hit the screen. The ultimate result was a far more comedic movie than what the original concept had been, which was at the behest of director Kevin Connor. Motel Hell took more than a little influence from the hit 1974 horror film The Texas Chainsaw Massacre, including the prominent featuring of chainsaws and backwoods cannibalism in the plot. Tobe Hooper, who directed the original Texas Chainsaw Massacre, was even at one point interested in directing the movie. Interestingly, the 1986 sequel The Texas Chainsaw Massacre 2 bears some notable similarities to Motel Hell, and adopts its somewhat lighter tone. Motel Hell currently has an IMDb user rating of 6.1/10, and Rotten Tomatoes scores of 68% from critics and 49% from audiences. It was made on an estimated production budget of $3 million, on which it grossed just over $6.3 million in its domestic theatrical release. Personally, I think Motel Hell is a weird little movie with a strange sense of humor, but it does feature some undeniably creepy images. The “farm” is the best example of this: a plot of land where the lead characters bury living victims up to their heads, then remove their vocal cords. The result is a small field dotted with heads that flail, writhe, and gasp helplessly as the victims are force-fed over days, and eventually harvested. Likewise, the iconic chainsaw fight, in which Vincent dons a pig’s head as a mask, is probably the most lasting image from the film, and is genuinely upsetting (despite being a bit goofy). The idea of a story built around a successful, cannibalistic food business isn’t new by any means: there’s Sweeney Todd, Soylent Green, and The Corpse Grinders, just to name a few. However, I think Motel Hell shows the most detail of the process, and the way it is depicted is a bit more creepy than other, similar stories. That said, Motel Hell is far from flawless. It wasn’t written initially as a comedy, and it definitely shows. Humor is a hard thing to inject after the fact, and I can’t think of anything that was honestly funny about the movie, though it definitely tried to establish a humorous tone. Overall, I think the movie was built on an interesting concept, but the writers struggled to create an actual story out of it. It bogs down a bit in the middle, and despite a handful of highlights, is kind of dull on the whole. I definitely like the design and concept of the movie far more than I liked actually watching it, as I could never really wrap my head around the characters. The cartoon reality and exaggerated characters presented were just a little too far removed from tangibility for my taste. That said, a lot of people seem to enjoy this one, so bad movie fans and people who like cult films should at least give it a chance.